In tete-a-tete with Restaurant India, Dhanraj Shinde, Owner, Kaitlyn's Beer Garden, Talks about starting India's first beer garden. What was the reason behind starting this restaurant? Having travelled abroad we realized that beer is loved all over the world and having tried so different kinds of beer and in a country like ours breweries aren’t abundantly available we thought we should have start our own brewery with different cuisines, beers and cocktails. How did you decide to come up with a beer garden? In earlier days people in Germany, Ireland excused to brew their own beers at home and celebrate with friends and family in their backyards/gardens. We wanted to recreate the same atmosphere indoors in Mumbai since we never experience cold weather like European countries, we thought of giving our guests that kind experience indoors. How is it different from other beer cafes in the country? Our brewery is similar you find in the country side of Germany and other European countries . Beer cafes are very different from breweries; breweries serve freshly brewed beers which we specialise in. We are happy with the initial response that the brewery has received. We aim to open as many outlets within the city and across the country in the coming few years. What are things that you have incorporated in designing your menu? Our aim was to design a pocket friendly menu, neither high priced like a five starhotel nor low priced like a small eatery. Our USP is that we have introduced beer as an ingredient in food as well as desserts apart from the different flavored beers. How many types of beers are there within the menu? How have you priced it? The response is positive. Since, there aren’t a lot of breweries in and around the city. It's the first venture setup initiated by us, carrying an accommodation of 120-125 people at one time. As the setup was done 20 days back, we would be concentrating on such programmes very soon. POS programme has been brought up by our team to maintain hardware & software documents. We have vendors across the city from whom we source our raw materials and the staffs was under the training programme for about a month until the operations started. 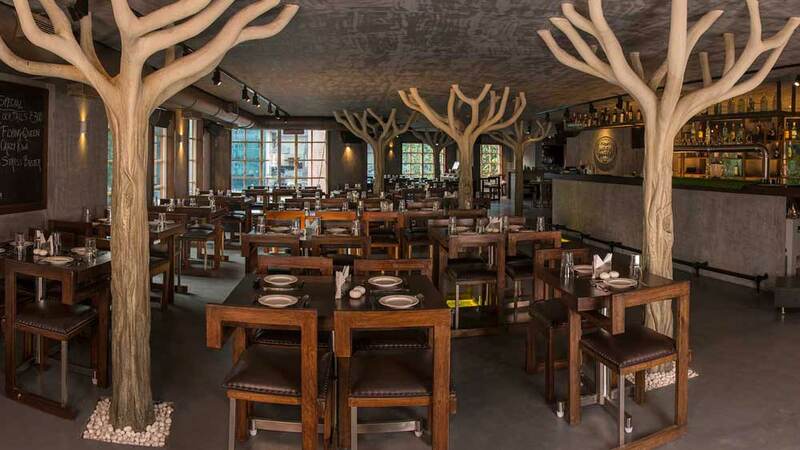 What is the design element you kept while designing the restaurant? Who is the designer? The idea behind the décor and design was to keep it as simple as it can get, woody just like a brewery would be. Our designer Nishant Desai made us the perfect place just as we imagined. Go Cashless with mobile wallet..